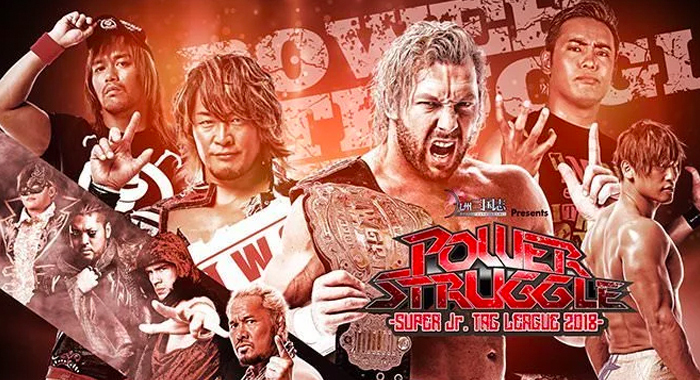 New Japan Pro Wrestling kicks off their second to last tour on the journey to Wrestle Kingdom 13 with Power Struggle 2018, featuring the return of the Super Jr. Tag League! For the first time ever, the tournament will be contested under round robin rules, with eight teams of junior heavyweights from all around the world, facing off in a series of tag team matches. Much like the Best of the Super Juniors tournament and the annual G1 Climax, two points are awarded to the winning team in each match, one point each for a draw of any kind, and of course zero points are awarded for a loss. At the end of the tour, the two top-scoring teams will face off in the tournament finals at Power Struggle on Nov. 3rd. — BUSHI & SHINGO TAKAGI representing Los Ingobernables de Japon. Shingo recently left Dragon Gate, considered the veteran ace of the promotion, signing with New Japan. He was revealed as LIJ’s newest member at King of Pro-Wrestling, as the group’s top junior heavyweight star Hiromu Takahashi is currently out of action with a broken neck. — JUSHIN THUNDER LIGER & TIGER MASK. The two longest tenured juniors on the active New Japan roster, perhaps more experienced than any duo on the planet today. Liger is considered by many to be the most influential junior heavyweight of all time, and Tiger is a two-time BOSJ winner and a six-time IWGP Jr. Heavyweight Champion in his own right. — KUSHIDA & CHRIS SABIN. On the surface it seems like a random pairing, but Kushida and Chris Sabin share one very important thing in common — Alex Shelley. The Motor City Machine Guns and the Time Splitters come together boasting a whole lot championship gold between them. They could be an extremely formidable duo. — ACH & RYUSUKE TAGUCHI representing Taguchi Japan. It’s always great to see ACH getting time in a New Japan ring, and they usually bring him out for all the tournaments. Yes, Taguchi is seen as a “comedy character” but when he turns it on, he’s still one of the best junior heavyweights on the planet. I’ve got these two as my dark horse picks. — Volador Jr. & Soberano Jr. representing CMLL. New Japan has a great working relationship with CMLL and every year we get to see Volador brought in for some incredible matches. Soberano Jr. is slightly newer to the game but no less exciting. — SHO & YOH representing CHAOS. Roppongi 3K are definitely considered front-runners in this tournament. They have now been on the NJPW roster for one year, and in that time have completely reinvented themselves, joined CHAOS, won the IWGP Jr. Heavyweight Tag Team Championships, competed at Wrestle Kingdom and even had time to shine as individuals in this year’s Best of the Super Juniors. They are the future. — TAIJI ISHIMORI & ROBBIE EAGLES. representing Bullet Club. Well, the Tongan crew said that they had been scouting talent and would have a new partner for Taiji Ishimori going into this tournament. 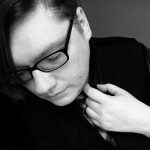 I don’t know much about Robbie Eagles, but I’ve heard nothing but good things from people whose opinions I greatly value. I look forward to seeing what this team can do in the ring. — YOSHINOBU KANEMARU & EL DESPERADO representing Suzuki-Gun. The current reigning champions. They’ve been borderline unstoppable since winning the titles, largely due to Suzuki-Gun constantly interfering in all of their matches. I don’t expect them to win the tournament, but as champions they’ll pick up enough wins to stay strong. The Road to Power Struggle tour kicks off Tuesday, Oct. 16th with a big event at Korakuen Hall, broadcast live on New Japan World. The entire tour will feature English commentary from Kevin Kelly, although it’s important to note that not all nights will be airing live. Below is a list of each of the events that will be airing live on NJPW World. The remainder of the shows will have their tournament matches uploaded to the streaming service later that same day; generally within a few hours of the event ending.